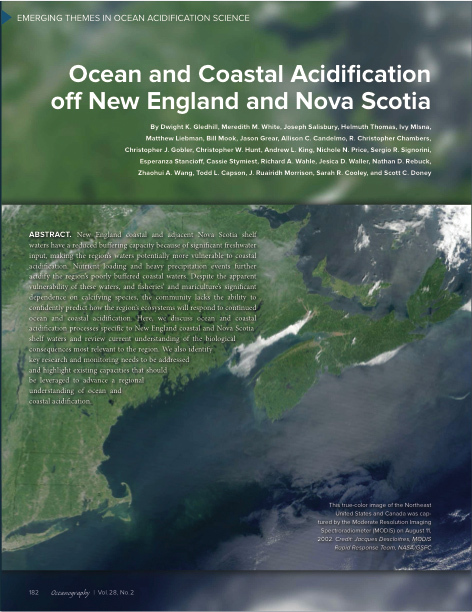 "Ocean and Coastal Acidification off New England and Nova Scotia" appeared in a June 2015 Special Issue of Oceanography. 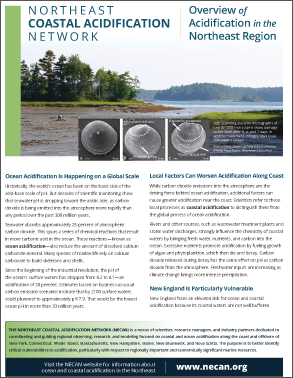 The article explains why the Northeast region is especially vulnerable to acidification, summarizes scientific findings about effects on marine life, and identifies research priorities. The information is based in part on NECAN's webinars and workshops. 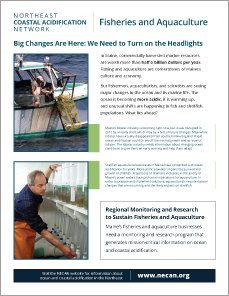 "Big Changes Are Here: We Need to Turn on the Headlights" is a one-page introduction to coastal acidification and NECAN for the fishing and aquaculture industries.